Seriously though, besides PSC being dead and all after changing ownership, what made all of us too busy to really chop anymore? We all used to be on here all the damn time. Did everyone just get new hobbies or what? My excuse is that I was a kid so my biggest worries were school and chores at the time, but most of you guys were all already doing the whole adults with jobs thing back then. Some entries from psc-ers could be prints for selling I guess, you took one not suitable for that purpose. We should create our own book, with at least one chop chosen by every chopper involved. Or a gallery with 3 of the best chops chosen by the chopper who made them. back when this site was good, I talked to proc and told him 17k cash for the site. He said it was worth 25k. he sold it for 35k. on a sidenote worth1000 is no more. good for him, maybe this place makes money off ads. IMO - $35,000 was cheap for the potential this site had/has. In its current state, it's probably not worth even $10,000. Think about Imgur and Reddit. They weren't even around when PSC was featured on Howard Stern, they are hugely popular sites now and some viral memes that came from pictures have paid back the person who posted them many times. 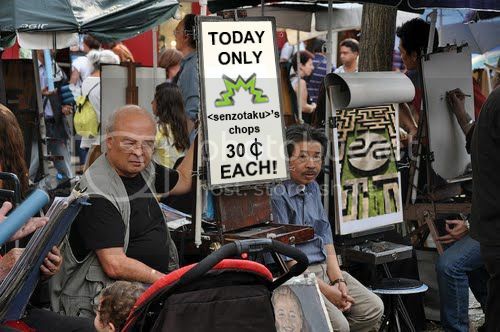 If PSC had been in the right place at the right time and supplied a place/way for some of our chops to go viral, how much would PSC be worth today? First thing I noticed was that an average of 10 entries are posted for a given contest nowadays. I was surprised. Made me wonder what happened after '08. I'll be on here supporting my son's work. I haven't touched PS in years, plus I'm busy working on my new aromatherapy business. I miss the contests and seeing all the amazing talent over the years. Who knows? Maybe PSC will make a comeback.